For creating this fabulous necklace which I won from her giveaway. Jill is a Oregonian, we are practically neighbors ;). Don't you think it looks lovely? Jill has a etsy shop, you can check it out out here. And she is offering a 15% off coupon code, you can get that here. 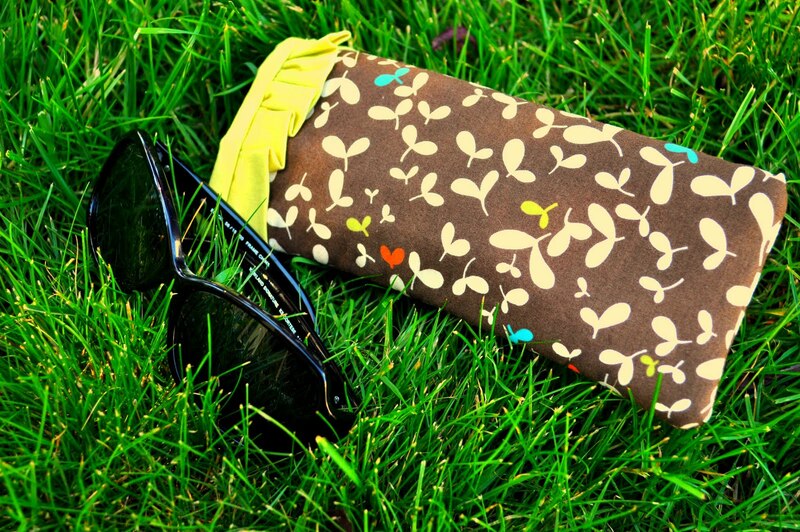 I won this cute eye glass case, It is just what I needed for my sun glasses. Elizabeth also has a etsy shop, go check it out here, she has very cute things. Thank you ladies for creating such wonderful things , keep doing what you are doing. Oh, thank YOU for such a sweet thank you! I'm so glad you like your necklace!